Small-to-midsize businesses ultimately discover managing the administration of Payroll and HR in-house takes time and resources away from the core business, harming productivity and profitability. Wouldn’t it be great if these tiresome and time-consuming tasks could be made to disappear? They can – by outsourcing Payroll and HR Management to an outsourced payroll service provider. 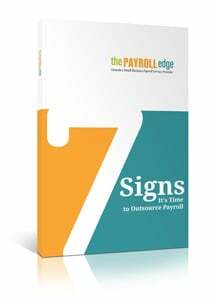 Download our guide to find out if outsourcing these functions is right for your organization.